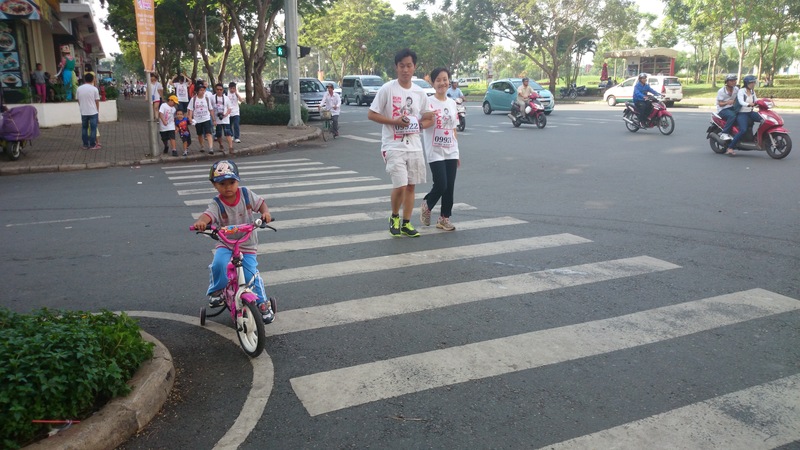 Our 1st Terry Fox Run | ADDIN | Another way for us to speak.. Our 1st Terry Fox Run – ADDIN | Another way for us to speak..
24 Nov 2013 – Our family took part in the annual Terry Fox run in Ho Chi Minh City. The yearly charity event is meant to collect funds for cancer research, spreading awareness of the cause, and promoting a healthy lifestyle. There were literally thousands of people who participated in the campaign. People came from all of sorts, from adults, the old, the young, corporate representatives, school children, & families. The event was non-competitive, so many people jogged or simply walked or even went half way. Some even stopped by at the many mini-marts along the way to buy a drink, ice-cream or some snacks. Our family of 5 went at our own pace. 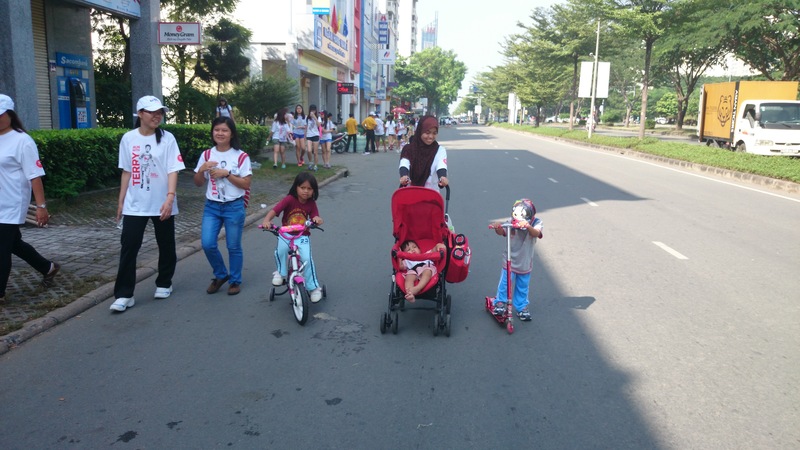 Khaulah went on her bike, Atiq on his scooter & Aflah.. well Aflah, who couldn’t walk yet, just sat on his stroller. Even at our speed, we managed to pass by many groups of adult runners. hehe.. 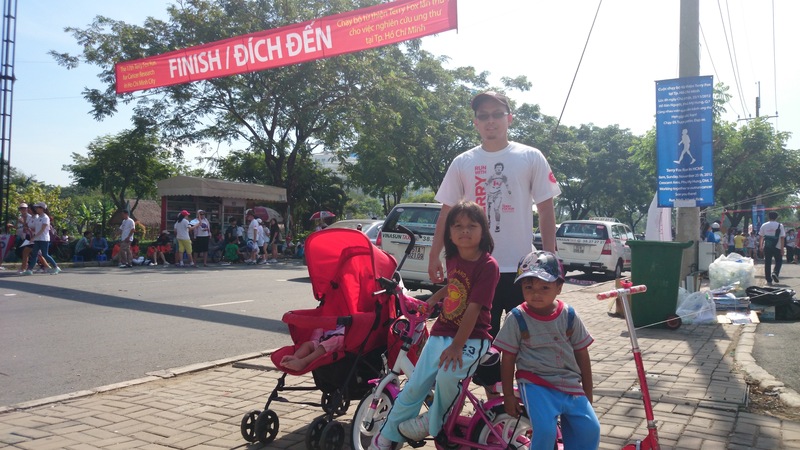 Despite the hot morning sun, we managed to finish the 5 km run in about 1 hour & 20 mins, including the pitstops & the confusing path to the finish line. It was a fun experience for our family & we hope to join more activities like this in the future. Previous PostThere’s No Place Like.. Dai NamNext PostKe mana lagi harus kutuju?